The article further refers to an organization known as the "Dirty Truth". Check out the website at http://www.dirytruth.org/. There are some staggering statistics relative to NPU-V - neighborhoods including Summerhill, Peoplestown, Adair Park, and Pittsburg. According to the website, in 2007, there were 1296 vacant or unoccupied lots in NPU-V, which represented 42% of all properties. Neither source names demolition as an answer to fighting some of these properties that are blighted, vacant, and harboring illegal activities. Many of these homes are antiquated, obsolete, and "not worth" rehab (in my humble opinion). The lack of energy efficiency, electrical issues, plumbing issues, and structural integrity make some properties so costly to rehab and retrofit, it would seem that constructing new would be more practical. However, this doesn't seem like the most reasonable alternative. Why don't city planners look at the long term ramifications of perpetuating the ideal of "single family residential" houses in neighborhoods that can't stabilize them from within? Why are we having to pour federal tax dollars into the "Neighborhood Stabilization Program" which repairs and renovates some of these obsolete structures? Wouldn't anyone interested in urban planning see the benefits of promoting multifamily options in these neighborhoods of blight? These neighborhoods are in such close proximity to downtown Atlanta - why not encourage demolition, the creation of green spaces and attract developers that can offer housing options more reflective of new urbanistic characteristics. At the very least, the city of Atlanta should permit owners of these properties the ability to demolish their own properties. Currently, unless the owner submits plans and has the intention to rebuild a single family residence, the owner will be denied a demolition permit. Only if the Department of Code Compliance issues a letter stating that the structure is over 51% deteriorated, can an owner raze his property without having to rebuild in its place. One street that particularly stands out in my mind is Spencer Street off of Lowery Blvd. Check it out. Based on my drive-by experiences, it appeared that approximately 75% of the houses were boarded, vacant and/or extensively fire damaged. Even the church at the corner was boarded up! What a sight to see. In my mind, I see acres of green space where eventually an environmentally responsible developer can see potential for offering clean, safe, efficient housing, within choice proximity to our city. 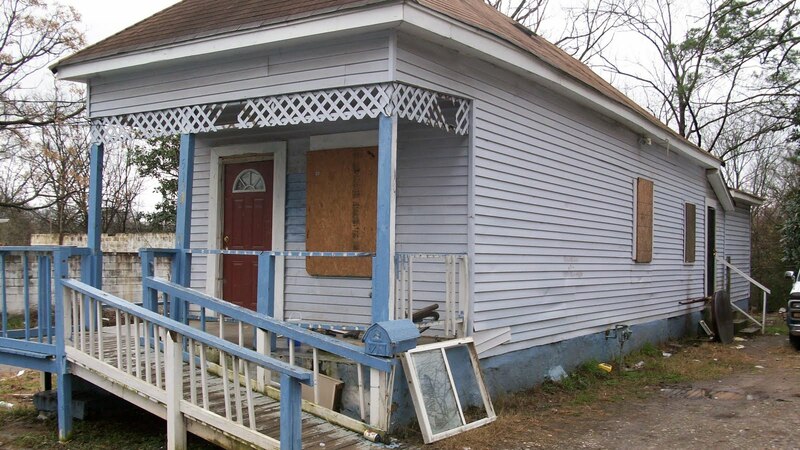 The above photo is an example of an obsolete, boarded up, not-so-vacant house in Southwest Atlanta on Cohen Street. Moments before the photo was taken, people were seen coming and going from the door. I didn't think anything of it, until I realized that all the windows were boarded up. If I was the owner, and I wanted to demolish this house, and Code Enforcement wouldn't deem it 51% deteriorated, and I didn't have plans to rebuild a single family house on the parcel, I would not be issued a permit to demolish it!